A cute and playful collection of little three-minute electronic tunes, this album is sure to mess around with your mind the first couple of times you hear it. 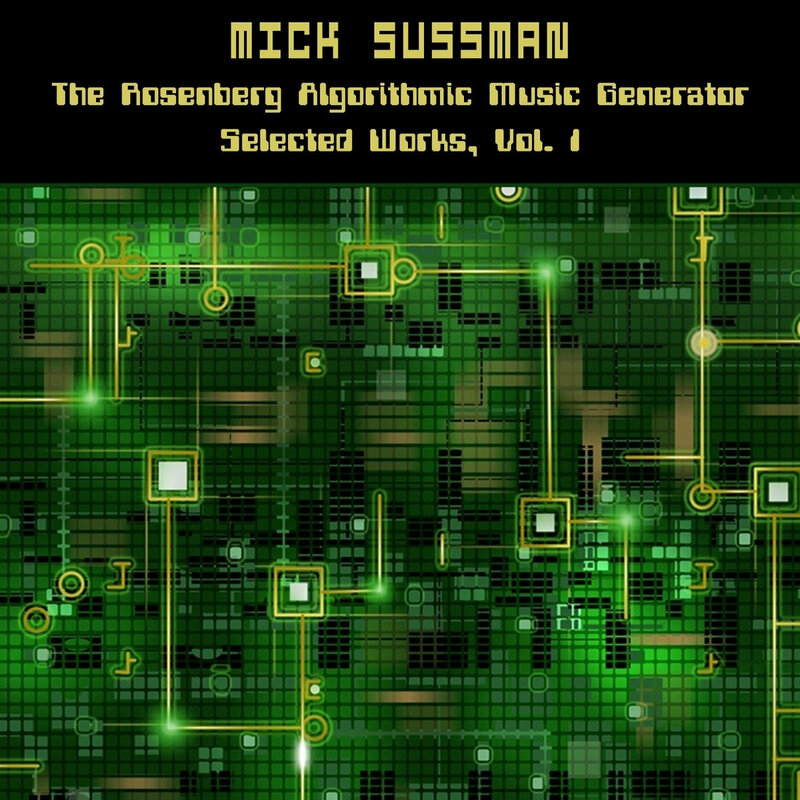 With repetition and familiarisation, you soon realise that it can be no more if no less than what it is: a quaint and eccentric compilation of electronic squiggles generated on software created and coded by New York artist Mick Sussman using samples derived from an eclectic range of music genres. I can hear what sounds like African pop rhythms (especially on track 5, “Spherical Sameness (Rb 586)”), vaguely Middle Eastern music and Indonesian gamelan music across several tracks but probably most listeners will hear just electro-experimental rhythms, techno-lite and glitch. Named after Sussman’s great-grandfather Max Rosenberg, the Rosenberg Algorithmic Music Generator software creates musical melodies by making a series of choices based on constrained random probabilities with regard to scale, tempo, chord changes and rhythms, with each decision made affecting future decisions and sending what initially started out as a random choice going down a definite route into a particular sonic micro-world, complete with its own moods and atmosphere, in a process almost parallel to evolution by natural selection. In parts demented and quite nervy, definitely very whimsical and freaky, this album sounds much like the work of tiny robots feverishly cranking out reams and reams of microtonal melodies mostly for their own entertainment and torture at the same time. The tones are very tinny and brittle, and what drumming beats exist are very mechanical and toy-like. The 19 tracks are deliberately kept pop-song short to preserve the zany quality before the novelty wears off and all we are left with is rather flat and emotionless music lacking in direction and (in some tracks) a clear structure. While some tracks like “Salesroom Spinozism (Rb 428)” start with a lot of bubbly energy, by the third minute this zest has dissipated quickly. This music is sure to have its fans though I suspect not very many: it really is quite flat and bland in sound, and needs touching up around the edges to come out a bit more multi-dimensional. The best way to hear this music is to do something even more freaky than the individual tracks themselves: if you can, listen to two or three different tracks from the album AT THE SAME TIME!